Popular Ghanaian Actress Rose Mensah, a.k.a Kyeiwaa, has confirmed that she divorced her husband of four days after she found out he was married with kids. “I still gave him the benefit of doubt. I still did not want to believe it was true that he had a wife. I thought I was going to benefit from the negative PR. But it turned out days later that everything people were saying was the truth.”“He did not show any sign that he had a wife. We dated for a year. I trusted him but he chose to betray me. He is very cunning. The way he is, he can easily get you to fall for him. I met him on the streets of Kumasi. I knew he had a child but he assured me that he had not engaged her. 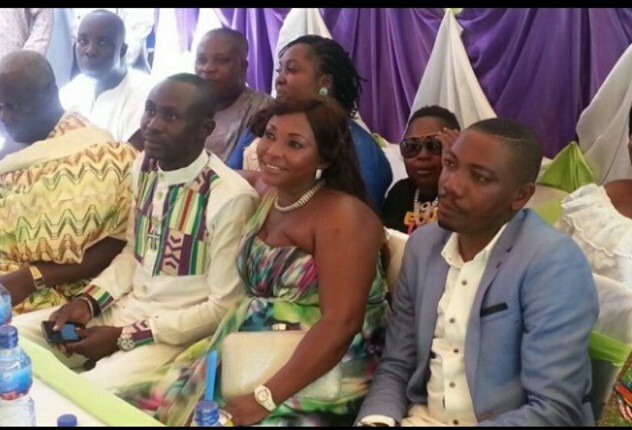 So it came to me as a shock that he had actually married her legally,” Kyeiwaa narrated. Madam I think the bride should not have divorced the married man. What if it turns out he’s her true and loving husband. I can’t understand women. Marry who will make you happy and not who isn’t married. After all she dated the groom for a year and was satisfied to be taken to the altar. We men are very loving. We can love 1,2,3 and more women all at the same time. It doesn’t diminish women in any form. With her present situation she could stay for many years without getting hooked again and may develop a phobia for men…oh poor men!